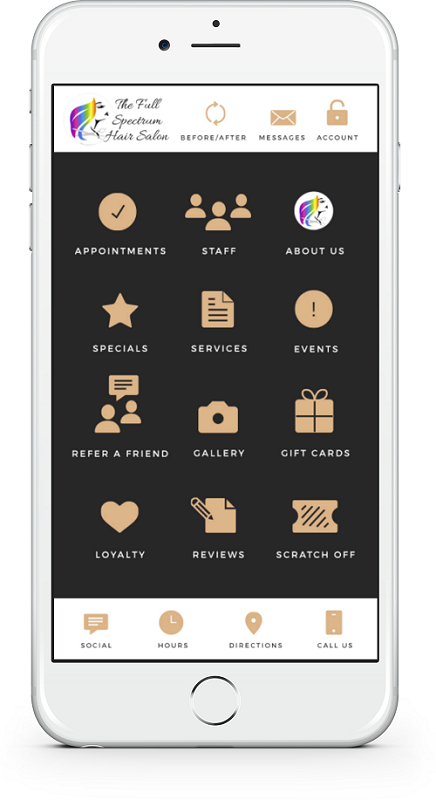 There’s no need to wait a minute longer to make an appointment when you choose to use our handy mobile app. But, if you’d rather take a more traditional approach to your salon and spa services, you can always find us online at our Full Spectrum website and use our contact form there to book online, or browse our services, products and client reviews. Of course, we’re also happy to speak with you in person. Stop by to see us at 305 E Farm to Market Rd 544, #911 in Murphy or give us a call at 972.509.1565. We truly believe that when you look good, you feel good, and we’ll get you ready to take on the world.